Managing one’s uncontrolled anger is the process of anger management. Anger is not good for anybody. It creates lots of health issues. Although anger is a secondary feeling but we think it is a primary feeling. Psychology study says that there are some other feelings or emotions that cause anger and thus it is not the primary feeling of human mind. Other feelings or emotions that trigger the anger of any person are definitely not good feelings, those may be including hatred, rejected, threatened, guilt, ignored, lied, cheated, exploited,unimportant, accused, untrustworthy, devalued, powerless, unlovable—or even unfit for any situation. The hormone that generates anger, actually acts like a natural pain-killer, thus while a person become angry somehow a pain relief feeling makes him/her feel good. 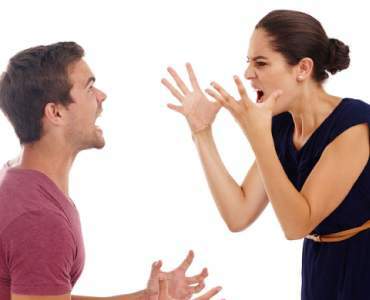 In anger management process we will come to know that how we will control anger and what are the skills that we can practice for our benefit.But before that let’s check-out the other health risks and symptoms that causefrom uncontrolled anger. Heart diseases, stroke/ heart attack. Symptoms are very important to identify whether one person needs therapy, help of counseling or not. Before going to an anger management session one can understand its need by his/her own. High Irritation level that causes sudden outburst. Loud voice with mostly foul or negative words. Desire to hurt the opponent verbally, sometimes physically. Becoming sarcastically rude, throwing something to break. Rubbing face or scratching head or hand. Sweating, screaming, rapid or shallow breathing. Sometimes using frequent substances to get rid of the situation. If the person faces these symptoms he/she needs the therapy of anger management. Anger management is a self-help process, associated with many techniques and skills. A counselor can guide you to adopt those techniques or skills. Other than these self-help techniques counseling is also needed to check whether these techniques are at all working or not. Sometimes it is founded that excessive anger or frustration is coming from other mental disorders such as schizophrenia, PTSD, bipolar disorder, substance abuse, OCD, pregnancy, infertility, sexual harassment, blackmailing etc. It is our duty to understand the root cause of the anger and treat it from that point of view. Dr. A d Mahapatra, the leading psychologist of Kolkata is here to help you out from excessive anger with the help of his light and sound therapy. Light and sound therapy is a psychotherapy usually used for many mental disorders and provides a very effective result. It is completely safe for any person. No side effects and absolutely harmless therapy it is. Without medicines approach of Dr. Mahapatra have a great impact of our day to day problems. Managing excessive anger of own is one of them and sometimes becomes very essential at public place, office, in front of children. This therapy will work as magic and one will feel instant relief of the anger and gradually all negative energies will permanently leave that person. Please feel free to contact us by the phone numbers given at our website. We are always here to listen your problems and hold your hand to help you out. We have solution for every single problem of your life…Stay happy, stay healthy, stay connected. Next Post কখন বুঝবেন আপনি ফেসবুকে ভয়াবহভাবে আসক্ত?